Outagamie County Courthouse is located in the County Seat of Appleton, WI. This photo was sent in by AS. 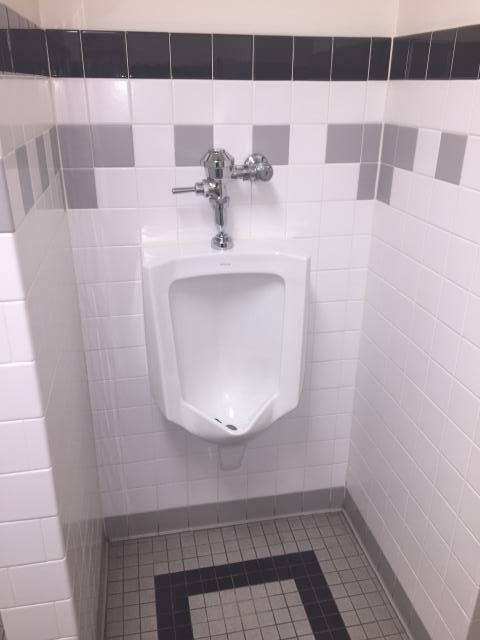 He writes: "[This is] the urinal of the Outagamie County Courthouse (first floor). The courthouse is located at 410 S. Walnut Street, Appleton Wisconsin. Outagamie County is located in east-central Wisconsin and is the sixth-largest county in the state."